Sometimes, as with real estate, photos are more valuable with location, location, location. My name is O’Ryan Smith. I’m the product support manager at Juniper Systems, and I’ll show you how geotagging has changed on the Windows 10 Mesa 2 Rugged Tablet. A geotag is spatial data added to the metadata – or file information – of an image, video, or other media. Luckily, Windows 10 automatically embeds a geotag in the metadata of a file. That means your photos should include location data, allowing you to pinpoint where on a map you captured a specific moment. Automatic geotagging is a feature of the Windows Camera, a built-in Windows 10 camera application. 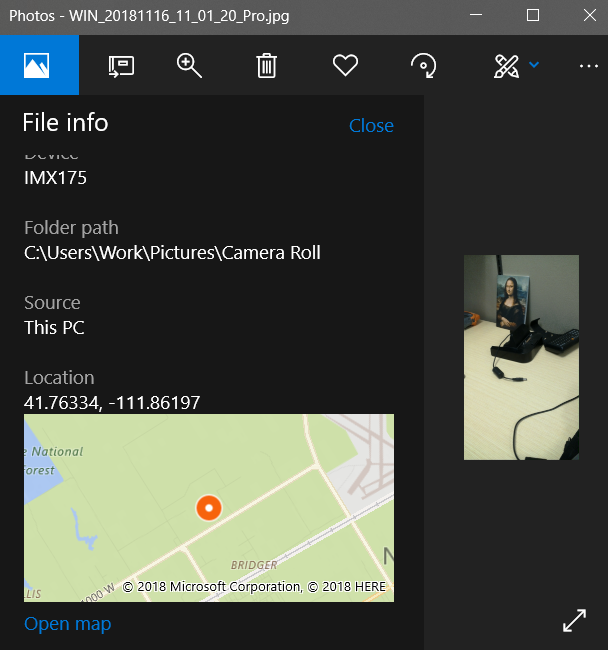 Geotagged photos are accessible in Windows Photos, another built-in Windows 10 application that includes features for editing and managing photos on a tablet or desktop. The first time you open Windows Camera, it will ask if you’d like to Let Windows Camera access your precise location? select Yes to activate geotags. The original Mesa Rugged Tablet, Allegro 2 Rugged Handheld, and Archer 2 Rugged Handheld featured a custom camera application. You can read more about how to embed and emboss a geotag on photos captured on those handhelds in a 2013 blog. If you opted out of location data on Windows Camera or you’re unsure it’s activated on your Windows 10 profile, here’s how to change the setting: select Start, Settings, Privacy, and under App permissions select Location. Now, under Choose apps that can use your precise location, select the Camera slider to switch location data on or off. 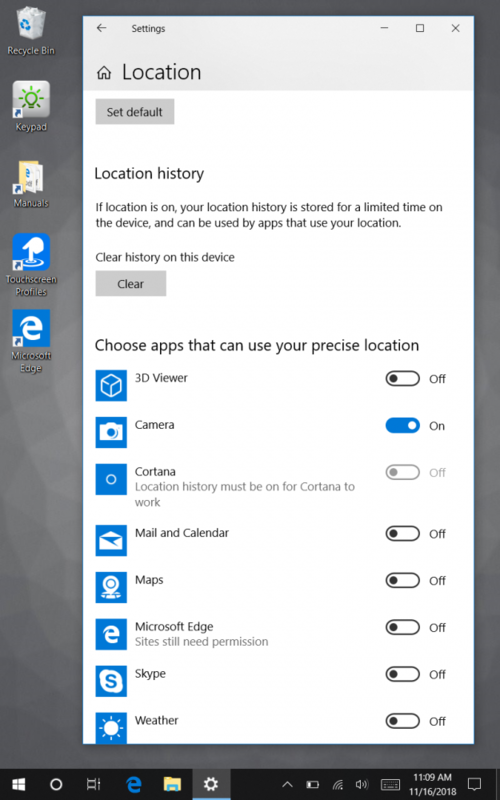 There are two primary ways to view image location data on Windows 10. Without using an application, you can access image location data by right-clicking on an image. To right click on the Mesa 2, select the image with a two-second hold – a popup menu should appear. In this menu, select Properties then select the Details tab. In the Details tab under a section titled GPS, you’ll find the latitude and longitude of each image. 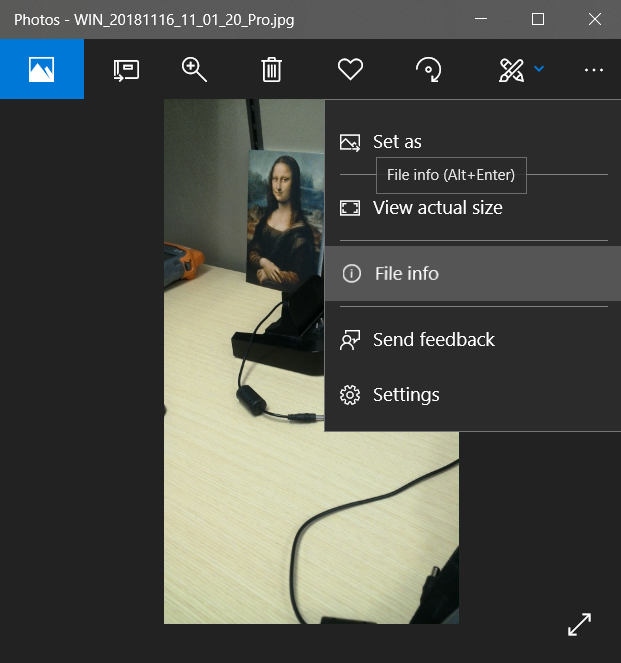 In the Windows Photos application, you can access image location data by selecting the three black dots in the top right corner. Now, select File info. Here you’ll find image metadata, including a map with a location indicator. Select Open map to view the marked image location in Microsoft Maps. Embossed images include the geotag data on the actual image, a useful feature for asset tracking and other applications. 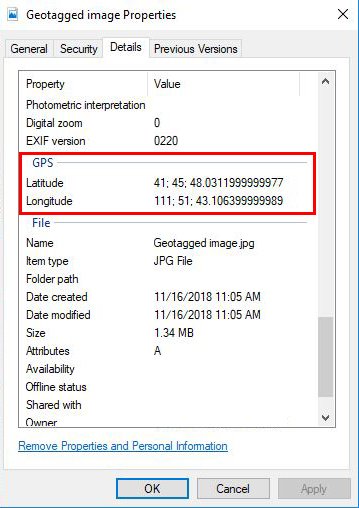 The Microsoft Camera application doesn’t allow you to emboss a location data on an image. However, several third-party camera applications in the Windows Store include an embossing feature. 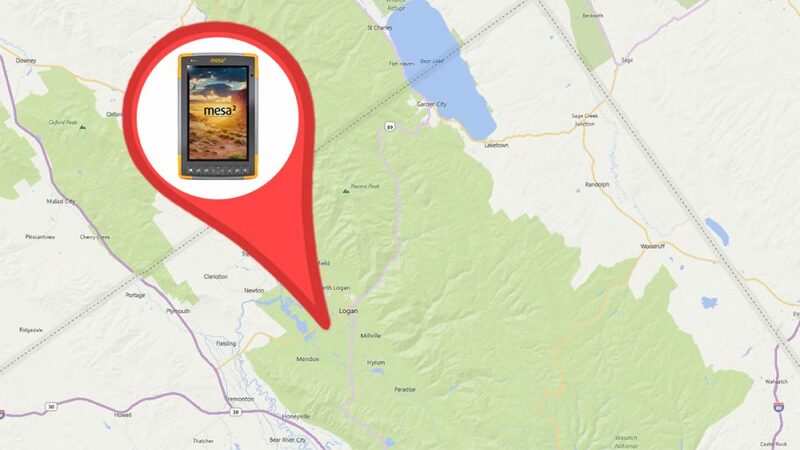 You can ensure location data is activated for each application. Here’s how: select Start, Settings, Privacy, and under App permissions select Location. Now, under Choose apps that can use your precise location, select the third-party application slider to switch location data on or off.